Home | Innovative Roofing Inc. YOUR NEW ROOF IS RIGHT AROUND THE CORNER! Starting from the ground up in Stockton, Innovative Roofing has been and always will be a local solution for a full range of roofing and gutter services. Our business is built on neighborly trust, quality work, and affordable prices. From homes to commercial estates and all points in between, serving the greater Stockton community with top notch roofing has been our stock in trade. As demand has increased for our particular brand of quality, we've added siding and gutter services as a natural expansion to our ability, making us a comprehensive property exterior protection company. We will provide you with a full consultation to explain all of your available options so that you can choose the roofing plan that is right for your home or business. We will work with you and adhere to your personal needs. 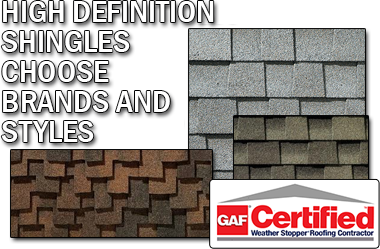 We strive to save you both time and money by combining our use of roofing knowledge, the highest quality parts and equipment, and our dedication to delivering exceptional service. We will not leave the job until it is finished and you are satisfied. Thank you for contacting Innovative Roofing Inc., a representative will contact you shortly. YOUR ONE STOP GUTTER SOLUTION!